Edgar George Baynes and William McLeod Horie were partners in a construction business they started in 1893, and were responsible for constructing over a hundred of the city’s building. They weren’t just content to build other people’s projects; E G Baynes in particular developed a series of commercial projects and houses. They invariably built their earlier buildings without the involvement of an architect, so appear as developer, architect and builder on many Building Permits. We know from family records that William Horie came to British Columbia in May 1889. He was a carpenter, and had married Mary Lawrence in October 1887. His son Roy is shown as being born in August 1889 in Quebec, so perhaps Mary joined him a little later and daughter Edna in British Columbia in December 1890. 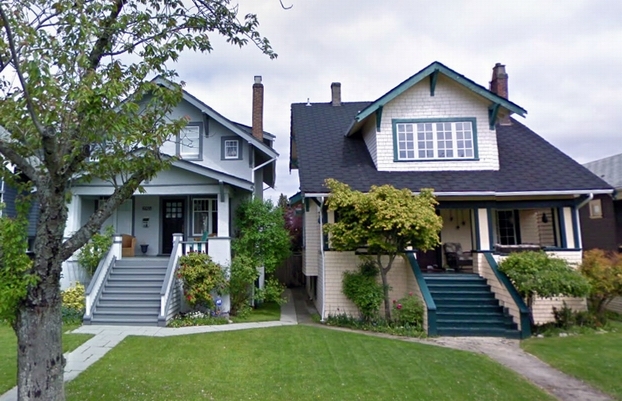 From their arrival in Vancouver the family continued to grow, Alfred was born in 1891, Harold in 1893, Frank in 1895, Maxwell in 1898, Gordon in 1901, Ivan in 1903 and Dorothy in 1906. Edgar Baynes was born in September 1870 in Bocking, Essex. His family were farmers – and pretty successful ones if his parents subsequent move to Broxted Hall in Dunmow is any indication. He was the oldest of at least six children (from the 1881 UK census) and left school ‘early’ to join his uncle’s building and contracting firm. How early isn’t clear – but he arrived in BC in 1889 with his uncle, J A Franklin, having learned his trade as a builder. A 1914 biography of Edgar says they worked together for a couple of years, then he moved to the Squamish valley as a rancher (which probably explains his absence from the 1891 Census) before returning to Vancouver in about 1893 where he returned to being a builder, and teamed up with William Horie. Family records say it was actually a homestead up the Cheakamus River, upstream from Squamish, and that he rowed there from Coal Harbour to establish his claim. He married an Ontario native, Margaret McAlpine in April 1899 when he was 28 and she was 25. They had four children, Doris Lillian born in 1903, Jean Hetty in 1904, George Edgar in 1907 and Margaret Anderson in 1908. Baynes and Horie could tackle building both framed and masonry buildings. They later added poured in place concrete construction to the methods they adopted – some of the earliest in the city. Two of the earlier buildings they built that are still standing are the 1902 $7,000 brick and stone store designed by Thomas Parr for T McWhinnie, and the adjacent $12,000 buildings built in the same year for Borland and Brown and designed by Parr and Fee. 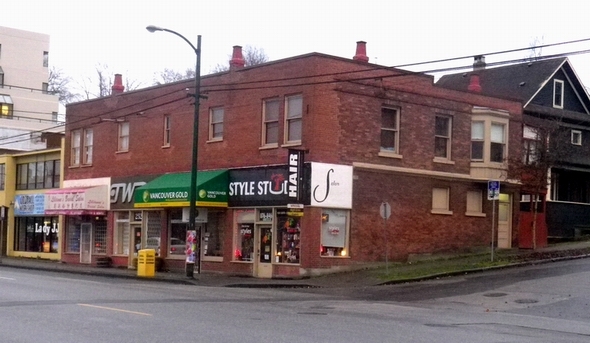 The building on the left was for T McWhinnie, the two on the right for Borland and Brown, both 1902. The last company in the buildings was BC Collateral. In that same year they built a small brick store building on Main Street for $2,500 for themselves. They were also already picking up contracts from some important clients – BC Electric Railway Co had them build a wood and iron building on Barnard Street, and further larger contracts followed in later years. They picked up other important public clients like the Park Commission and the School Board, and the Canadian Pacific Railway. 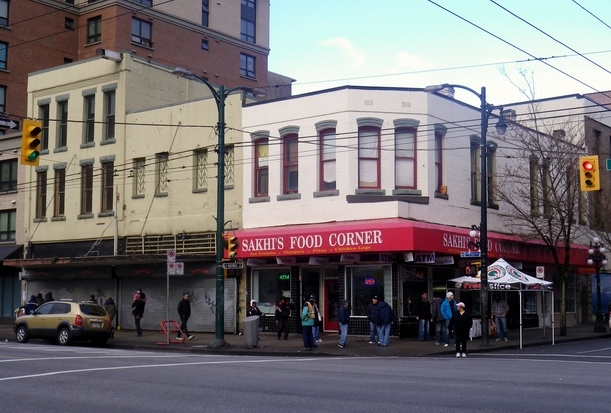 In 1905 the built another larger building for their own investment purposes on the corner of Howe and West Pender Streets. Their contracting work expanded dramatically, in 1909 they had over $200,000 worth of contracts, and in 1912 11 projects worth over $475,000. The company were involved in public works – in particular they erected the arch into Stanley Park. Edgar Baynes would become an active Parks Commissioner in later years. 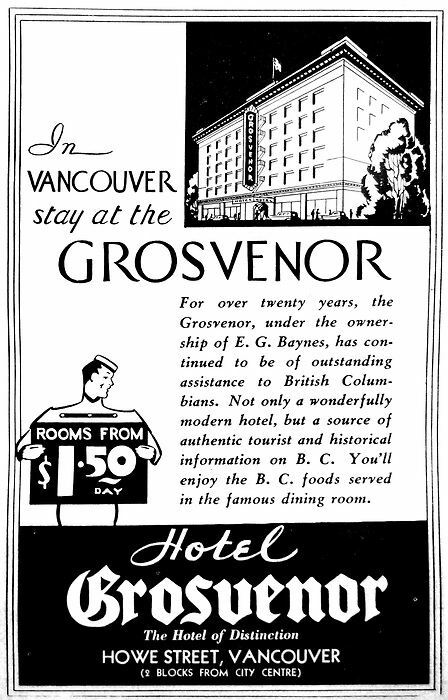 In 1912 Ed Baynes built a $150,000 building on Howe Street, the Grosvenor Hotel. 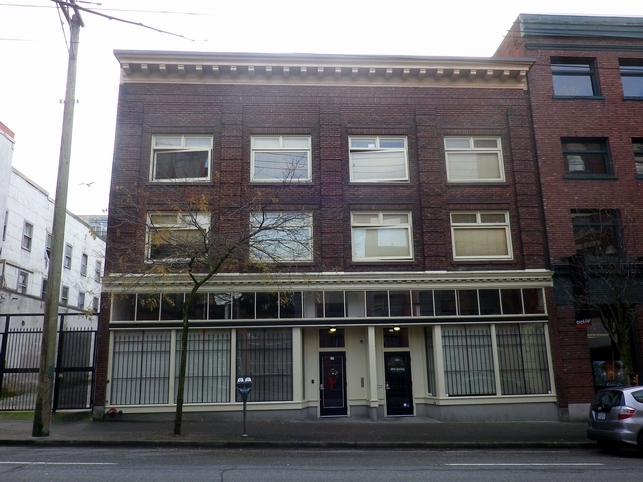 Although that no longer exists, in the same year he also built a $45,000 commercial building on Powell Street, which he designed and built. A couple of years later he had Sharp and Thompson design a number of houses which he built on West 42nd Avenue, two of which are still standing. 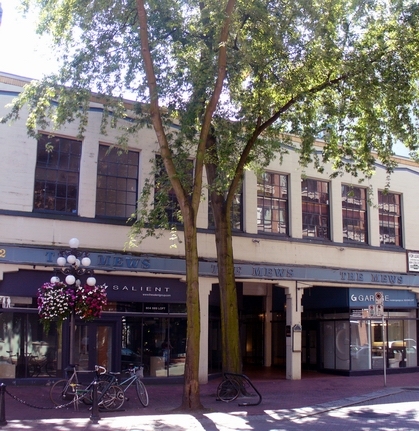 In the mid 1920s Ed Baynes built Vancouver’s first parking garage on Water Street, leased to Nagle Brothers. In 2009 it was restored and had 3 extra storeys added, but the original poured concrete structure looked like this before that significant change to the building’s appearance.